Calling all mini Beyoncés and Biebers! We know here at Ballyholme Parish that the songs we learn as children never really leave us, so we have established a children’s worship choir where kids can learn about our God through song. 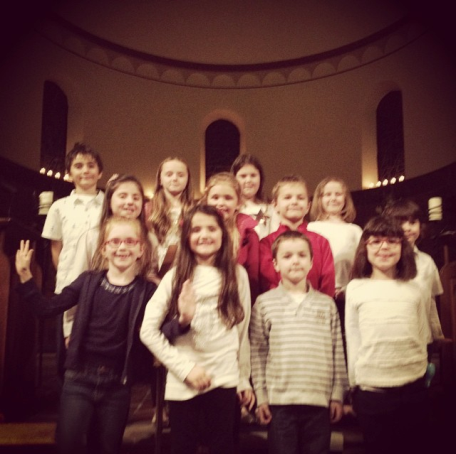 Praise Kids is a lively choir made up of around a dozen primary–aged children who meet very Wednesday and perform several times a year in church. The sessions are a fun and fast–paced combination of singing, dancing and prayer, with time taken for the children to work through the lyrics of our praise songs to work out what we are learning about God from this and how this applies to our lives. New voices are always so welcome – and we care much more about enthusiasm than ability!